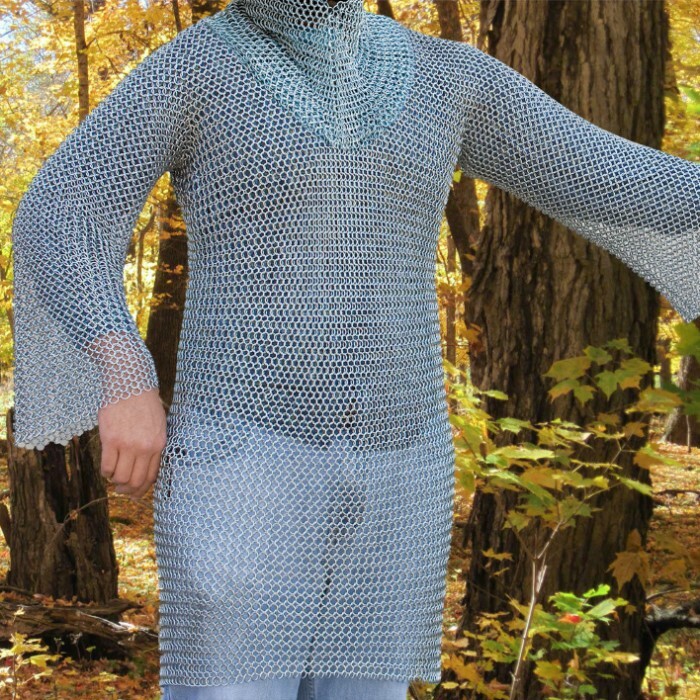 Chain mail armor was one of the first armors developed in the medieval era. It was used by the Romans in the beginning of 2nd century BC. Rather the medieval knights are remembered for their elaborate armors as for their bravery. A well made chain mail could spell life and a weak chain mail, its end. Our 16 gauge chain mail shirt and hood are sure to keep your skull and skin intact. One size fits most. 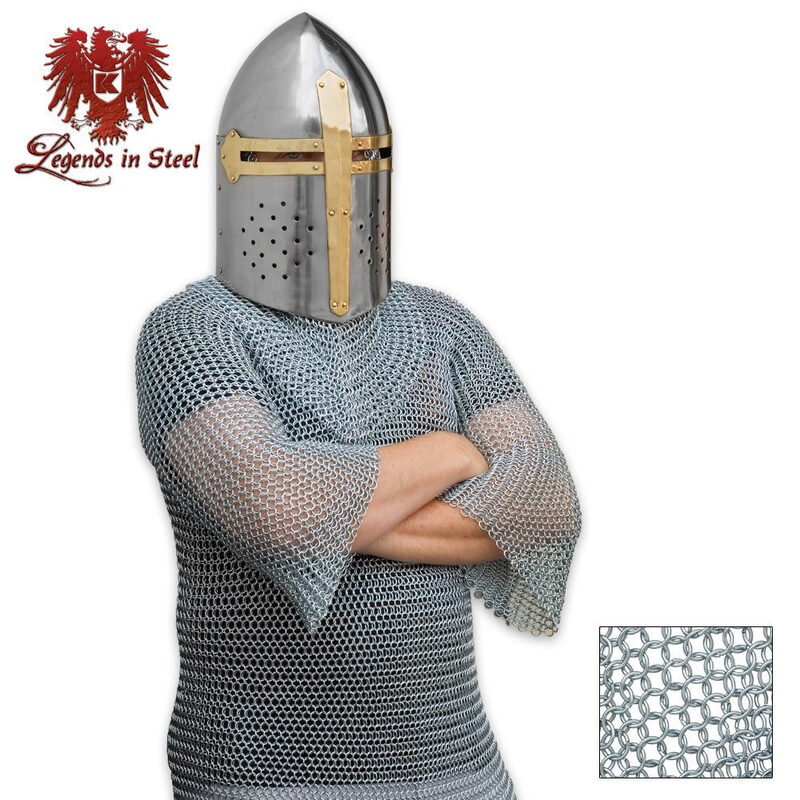 Chain mail hood and helmet sold separately. This thing is heavy if you aren't prepared to wear it will be extremely heavy, I had to get help to get it off but it is all worth it and as stated before there will be a piece or two that fall off but it has hundreds of thousands if not millions of tiny chains so its to be expected. Over all if I had to choose to get it again I would without a doubt. This is a very good product but some of it is falling apart but only a couple. So this is a very good product, and later I also got the hood! This is a good product for the money. Mail links are "butted" in the European "1 in 4" pattern and are consistant in size. I also purchased the mail hood or "coif" offered on this website. If your chest or belly is 50" or greater, it will be a tight fit. Be prepared for a shock when this arrives, as it's really got some weight to it, to the point that I thought someone had nailed it to the ground when I went to pick it up!! The links are fine enough that, should a maiden put it on you can't see through it. The next time you see a man at arms in chainmail fall into a river in a movie and float away, you'll be hard pressed not to laugh out loud!! !